Take Saturday voice lessons with Chris Berentson at Rata Studios in Wellington. 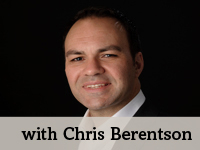 New Zealander Chris Berentson is a graduate of the Victoria University School of Music Wellington and the Canberra School of Music at the Australian National University from which he graduated with a Master of Music in vocal performance. He began his voice teaching career in Australia before returning to New Zealand in 2005 where he opened his own voice studio. Since that time he has been involved as a member of the New Zealand Opera chorus, has sung extensively as a soloist throughout the North Island in Opera and Concerts, and has taught singing both privately and in schools including Newlands College, St Pats Kilbirnie, and Scots College where he was also the choir director, taking the choir to their first Big Sing Choral Festival. His teaching focuses on holistic and relaxed techniques and on bringing self confidence to each student.